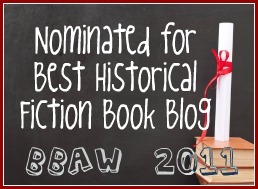 Historical Tapestry: Guest Post By J.R. Tomlin Plus a Giveaway! Guest Post By J.R. Tomlin Plus a Giveaway! In A King Ensnared I was presented with a rather interesting problem: What if a lot of people like your 'bad guy'? King Henry V of England is often presented as a hero king. Certainly Shakespeare did so and so have many authors since. He also happens to be the main antagonist in A King Ensnared, the man who kept King James I of Scotland a prisoner from the time Henry ascended the throne until his death. There are many stories that circulated at the time that he did so in direct opposition to one of his father's dying commands. And I have to admit that going in I personally did not like Henry V.
His war in France was callous and brutal even for medieval warfare. The slaughter of the French prisoners during the battle of Angincourt is only one example, so I didn't start the project in a sympathetic frame of mind. But I had to remember that my favorite historical person’s enemies were people, complex and multi-dimensional human beings. They deserve to be presented as such and not as cardboard cutout heavies, even King Henry V.
Many people use his supposed romance with Katherine of Valois to humanize him, but there are some problems with that. After their marriage they spent little time together and when he knew he was dying he didn't even send for her although she was a short distance away. That was, at the least, strange behavior for someone deeply in love. It seems to me overly convenient that he fell in love with the one person who would strengthen his rather tenuous claim to the French throne, so I dismiss it. So I had to look closer to find something redeeming. There is no doubt that he was a brave and hardy soldier. He was little more than a child when, leading an army against the Welsh 'rebels', he was shot in the face with an arrow. It was a horrendous wound that only the best medical care available in a period not known for good medical care and his own strong constitution allowed him to survive. He was of course scarred which modern representations of him manage to ignore. This wasn't shameful but in a medieval soldier was expected, even a matter of pride. He was intelligent, well-educated and known to love music, so probably a pleasant person to be around, but more importantly to understanding him, I realized that he was deeply convinced he was right. The throne of France was his by right, by English law, so he was right to punish anyone who stood between him and that throne. Scotland by right should be a fiefdom of England, so he was right to hold James prisoner. It was, in fact, a viewpoint shared by the people around him. There is a truism in writing that all your character believe that they are the main character in your story. Henry certainly thought so. Thank you J.R.! Some of my favorite characters, whether completely fictionalized or based on a person from history, are those that are so diverse and multifaceted that you cannot help but both love and hate in turn. What could be more human than that? 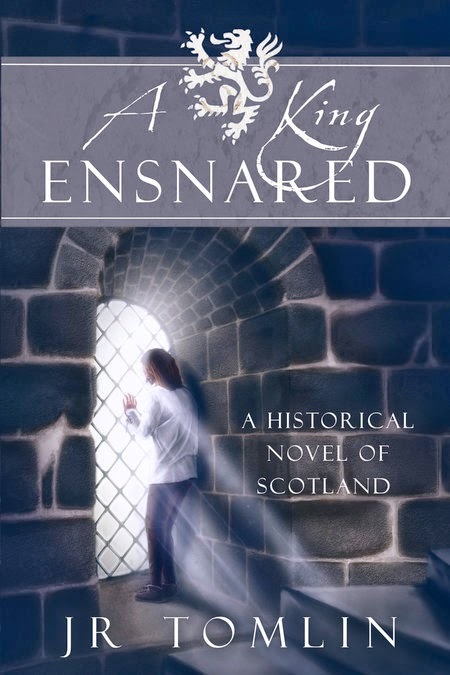 For a chance to win a copy of A King Ensnared leave a comment below regarding this guest post or telling us which complex character or person from history you can't get enough of. Be sure to leave your email address in the comment (no email address, no entry). For extra entries, share online and leave a separate comment with a link to where you shared. The giveaway is open to those in the US and Canada and will run until April 3rd. A winner will be selected and emailed on April 4th and will have 48 hours to respond to my email claiming their prize. Good luck everyone! Enjoyed this post about Henry V. All I've read about him concerned the battle of Agincourt. I look forward to seeing other sides of him in this novel. Loved the last sentence of the post, that all characters in a novel see themselves as a main character. Thanks for the giveaway. This novel looks like it covers some of the same territory as Nigel Tranter's Stewart trilogy, although perhaps the Stewarts are more fully drawn as characters. Looking forward to a great new read! Love to learn about Abraham Lincoln!! You make some great points here about Henry's marriage to Katherine. I don't think I'd ever really thought about it that way. Thanks for the giveaway! I can't imagine fleeing somewhere for your life, just to end up being held for years in a foreign prison. Thank you for the giveaway. The thought of imprisonment in days of yore (castles, towers, dungeons, etc.) always makes me feel squeamish, particularly the lengthy ones (18 years for James?) but I love reading histories. Thanks for the giveaway. And the winner is...Nancy! Nancy I will be sending you an email to get your mailing information so please be on the look out for it and respond within 48 hours.